The world famous Madrid design from Birkenstock has a new sparkling pink updo and that’s because he’s helping raise money for researching a cure in the fight against breast cancer. App. 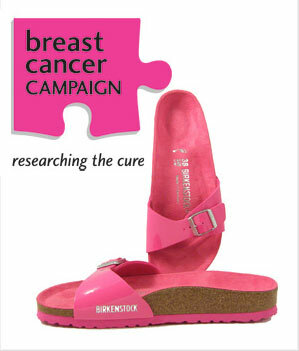 $7 from each Birkenstock pair sold will hit the Breast Cancer Campaign Funds. Do you take part in awearness campaigns? Birkenstock Sandals Still Fashionable This Summer! I rather do it in full consciousness also, no fashion (or else) in the way, just like you. However it’s difficult because issues like this one make you understand how larger than life (at least your own) your perspective needs to be in order to cope it all. And most of the time we’re not ready to do this. As far as this campaign goes, or any other breast cancer fight-against attitude, it’s all in the awareness. 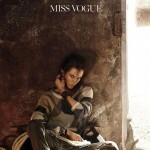 The more women get the message and perform regular medical check ins, all can be avoided. Or at least the hardest part, for prevention causes. please, i would like to know more informations about the pink birkenstock which will hit the Breast Cancer Campaign Funds. So if you can please send me an email about its price? Thank you. I just want to ask the price of the pink Birkenstock Against Breast Cancer cause they are very fashionable and for a good perpose. I also wnt to know the website where i can order them on line.